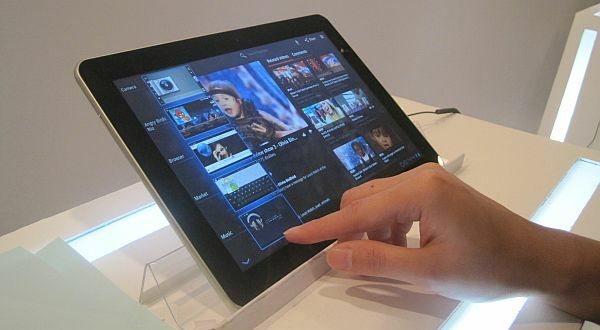 Galaxy Tab 10.1, Tablet PC World's Thinnest ~ " World Information "
Jakarta, Samsung Electronics expects the market leadership in the tablet PC to the next level by presenting the Galaxy Tab 10.1-inch, which is claimed as the world's thinnest tablet with a thickness of 8.6 millimeters. Having launched the Galaxy Tab 7 inches November 2010 and, today Samsung announced a new member of the Galaxy family with a larger screen size but still has a light weight, which is 595 grams. Carrying the Android operating system 3.0 (Honeycomb), Tab 10.1 Galaxy still presents the user interface of Samsung, TouchWiz, which allows users to operate the various functions. In addition, Samsung also buried Mini Apps Tray feature, where a number of features that frequently used the user can directly operate on the homepage. "The presence of Galaxy Tab 10.1 is an expression of our dedication to create a tablet that match the unique needs of consumer all over the world," said Managing Director of Samsung Indonesia Yoo Young Kim at the launch at the Ritz-Carlton Pacific Place, on Friday (13/05/2011). Meanwhile, Head of Marketing at Samsung Mobile Eka Anwar claimed the emergence of the Galaxy Tab 10.1 is to provide more options to users tablets in Indonesia. "Galaxy Tab clear 7-inch forward the mobility function, so users who want a portable tablet will be more interested in this model. But, for those who feel too small 7 inch screen and less convenient for viewing photos or watching videos, can choose the 10.1 inches, "he explained. For the kitchen pacunya, Galaxy has a 10.1 Tab presesor 1 GHz dual core. In addition, this smart device also supports HSPA + networks with speeds of 21Mbps and 11a/b/g Wi-Fi connectivity. Galaxy Tab 10.1 also has a rear-resolution 3-megapixel camera with LED flash, as well as front-resolution 2-megapixel camera. Abroad, the price of the Galaxy Tab Wifi version 10.1 will be available at a price approximately USD499 (16GB) for USD 599 (32GB). Unfortunately, Samsung Indonesia has not yet willing to divulge the price tag of a new plan for the device officially marketed mid-June. "The issue of price we can not mention the score. What is clear, we can ensure that the launch will be more excited than the Galaxy Tab 7 and then," lid Eka.